Today my Dad would have been 73. Sadly he passed away in 2003 after a long fight with cancer. 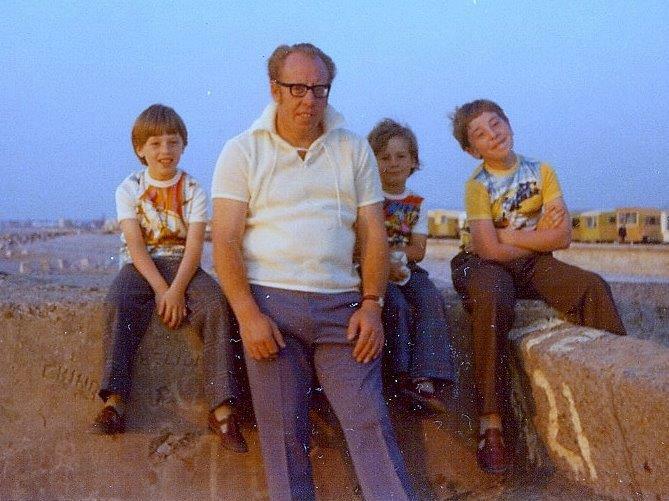 My Dad was always larger than life and his death has left a huge hole in our lives. 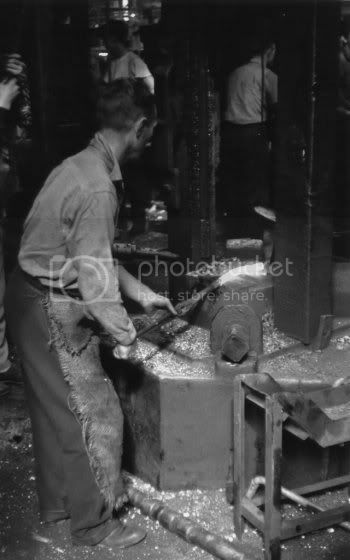 My Dad spent over 40 years working for Garringtons Ltd in Darlaston in the Black Country, Garringtons was for many years the largest producer of forgings in Europe.They produced all kinds of stampings at the large factory that grew on the site. Over 100,000 tons were produced annually for aircraft, shipbuilding, railways, agricultural implements, mining equipment, and road vehicles. I have been digging through some old photographs and negatives and found these pictures taken sometime in the last 1950’s – early 1960’s (I have been unable to make out the year from the calender in the background). The one above shows my Dad working in his ‘office’ sometime after he had been promoted into a foreman role, he was so good and enjoyed his job that he never left the factory floor. I remember the respect he had from his co-workers and at his funeral was humbled by the number that made the effort to attend, despite their advancing years. When I was young I would sometimes go down to meet Dad coming out of work and it really was like visiting Hell. Through the mesh ‘windows’ you could see the glowing metal, feel the heat, smell the fumes and dust. But it was the noise that was frightening, it was deafening as the forgers hammered out their products. Dad paid heavily for his career, he became almost deaf and suffered tinnitus due to the lack of H&S regulations in the earlier years. 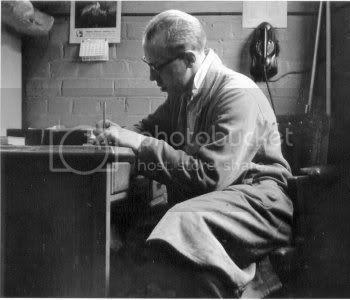 When the factory was in operation Willenhall Road would vibrate as the large stamping machines operated. The thumping noise from the machines could be heard some distance away. People living in the nearby houses got so used to this that they felt very uncomfortable during the summer break when the works closed for a fortnight. Sadly Garringtons has long gone and so has most of Darlaston and the heavy industry has disappeared a victim of the 1980s, but I did find this excellent history of the factories that were the lifeblood of the area. The Garringtons Limited Logo above shows a proud lion holding a forged crank shaft and piston rod. My Dad would always say proudly whenever we saw a Land Rover or Range Rover on the road that his factory had made those parts. He once went on a corporate visit to Land Rover and his trip around their off-road testing course in those vehicles was an anecdote he would regularly regale us with.